A base variety, widely cultivated; very sensitive to disease, mainly cholera. Excellent results when output per km2 is low. Good bouquet, medium acidity, unstable colour. 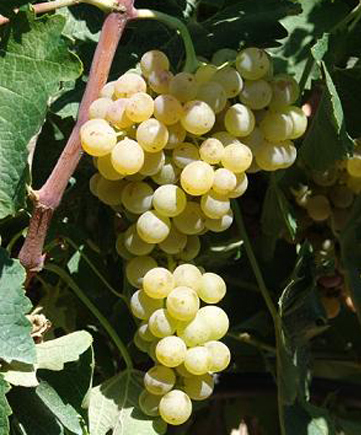 The white Cretan variety par excellence. It provides excellent results in semi-mountainous regions, at an altitude of 400+ metres. The wine is particularly aromatic, fresh, with a good acidity, but with a lifespan that should not exceed a year. It has yielded interesting results when vinified in oak barrels, which significantly extends its life cycle (3 – 5 years). Furthermore, it is often used as a “base variety”. The bunch grows thick with medium sized, round grapes.